Chloe from Celebrate and Decorate shows us How to make this beautiful Jaw-Dropping Floral Swag Chloe did a really great tutorial too! So you could make one just as beautiful! 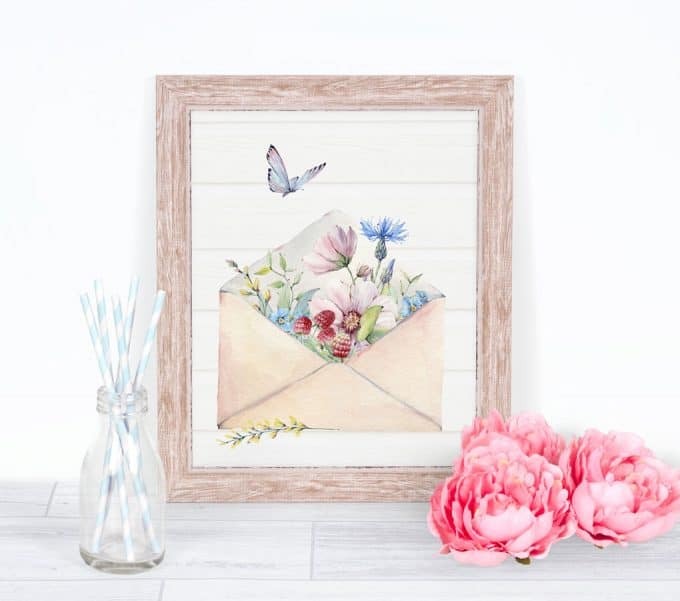 Liberty from My Wee Abode shared another one of her beautiful and Free Spring Watercolor Wall Art Printables. There's several for Spring you are going to love them as much as I did! 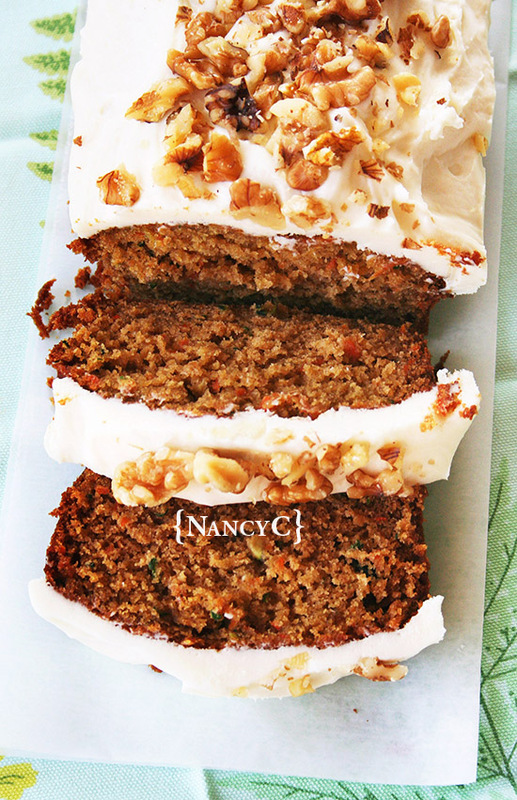 NancyC shared her Carrot-Zucchini Bread recipe. It sounds so delicious, I'll be trying this recipe out in the very near future. 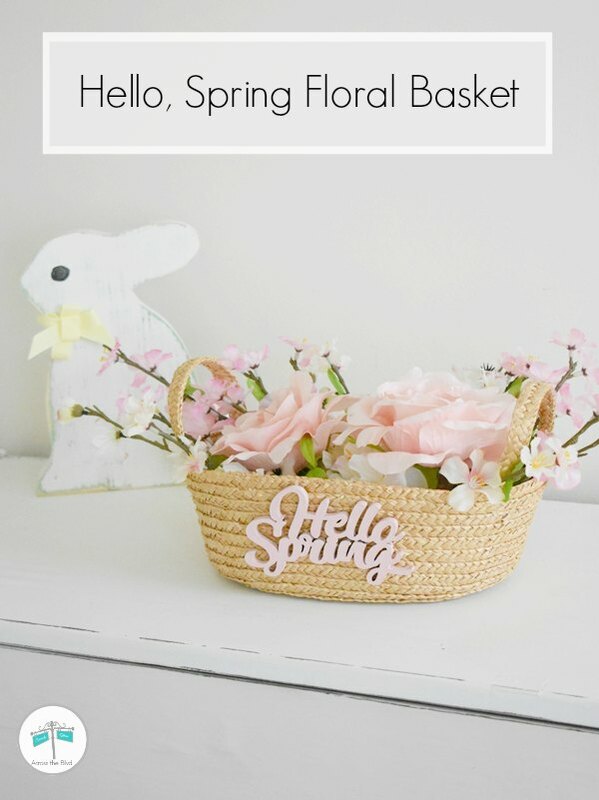 Beverly from Across the Boulevard's Hello Spring Floral Basket is simply adorable and I just love these colors. Great little vignette. I just fell in love with Shirley from Intelligent Domestications' How To Make A Easter Egg Cone Tree. Maybe it's just me, but, I've never seen one like this before and I just love the way it all came together. Thanks for the party, Theresa and thanks so much for including my little floral basket in your features! I hope you have a wonderful week enjoying the lovely weather. Thanks for hosting, Theresa. Looking forward to exploring each post! I've linked at #56. Thank you so much for the feature, Theresa! I'm glad you enjoy the printables! I'm at 90 and 91 this week! have a good one! Thanks for hosting Theresa! Today I'm sharing this year's Easter table set with vintage tableware and my collection of faux chocolate bunnies, an Easter decor tour of my home, and a detailed DIY tutorial on how to hand paint Dollar Tree glasses from easy to complex, #110, 111 and 112. 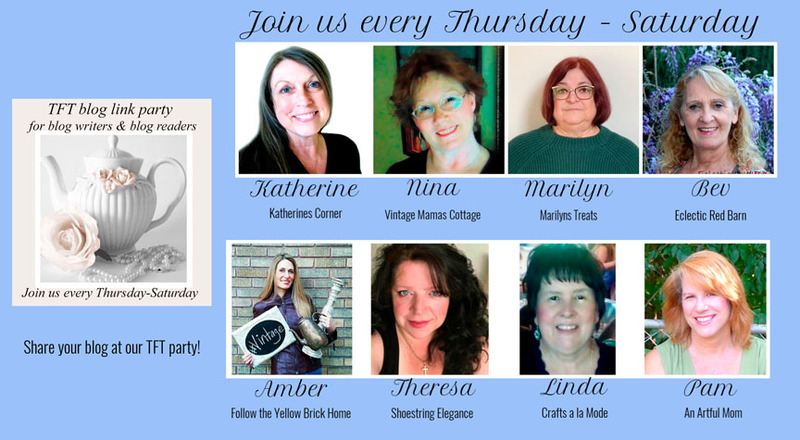 Thank you so much for hosting and for the feature! Everyone has such lovely ideas! Have a blessed week, friends!